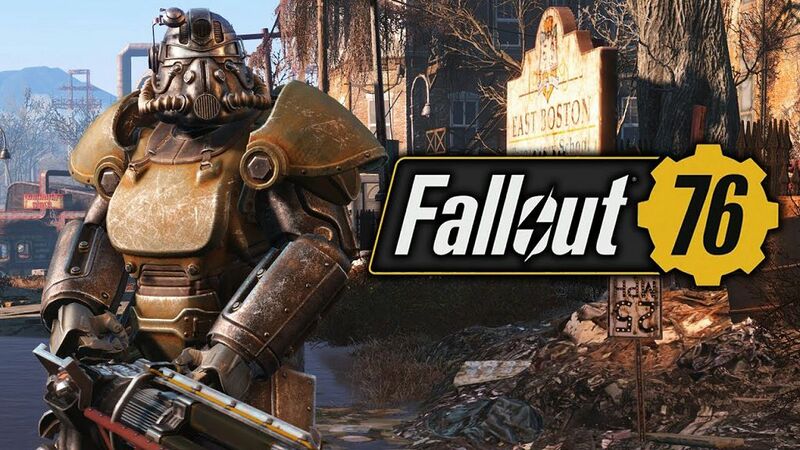 In Fallout 76, you will need to explore, killing the super mutants, and also learning about the inhabitants before you to get survive. Overall, it’s always nice to have a place somewhere you can call home. 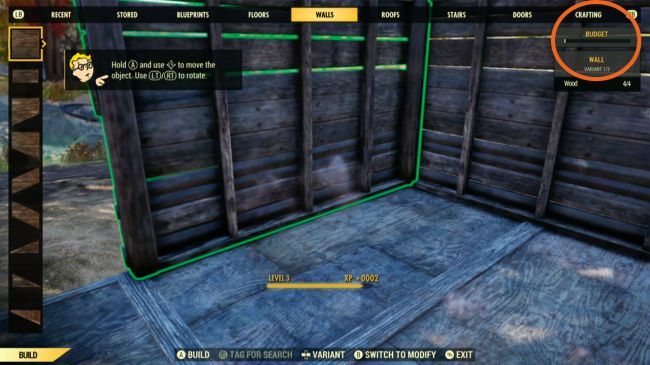 C.A.M.P System in Fallout 76 is a feature of a brand new building in a portable building platform, which allows the players to build whenever and wherever they want. 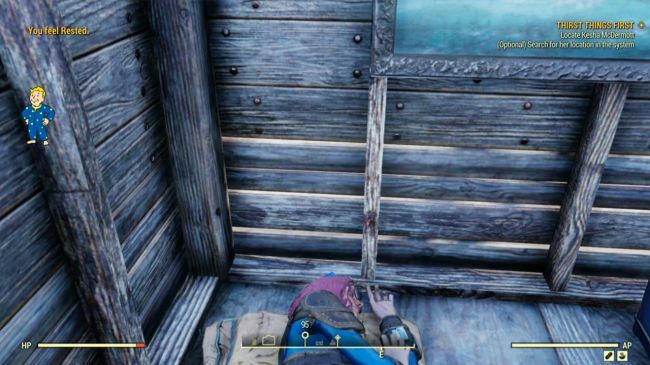 There are many things you can do with the C.A.M.P System, and in this article, I will guide you to build the perfect home base Camp. 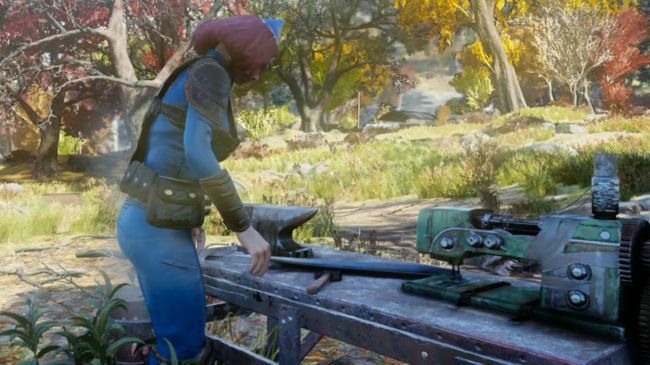 To get more advanced bits of furniture and equipment such as Hospital Bed, you will have to find their Plans in your travels across Appalachia, which will unlock the options to craft them. You can see which objects require Plans by the red padlock over their image in the menu, and if you just see a red circle with a line through it on the image, it means you don’t have enough resources to build the object. 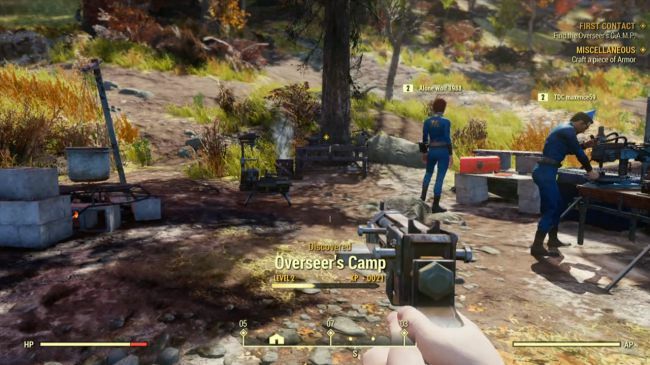 When you first start playing in Fallout 76 don’t expect to be able to build a Camp straight away because it will take time to collect enough resources for your first Camp. 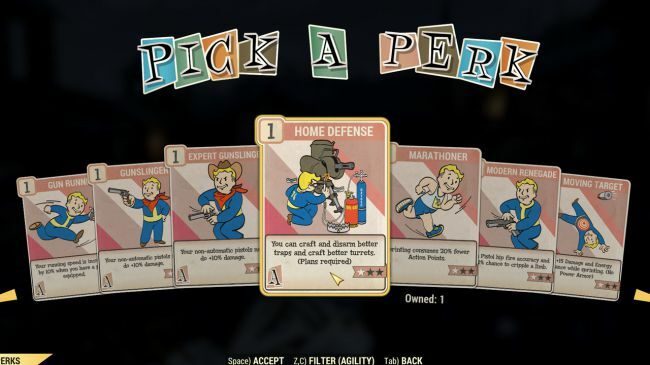 You can use the Overseer’s C.A.M.P. 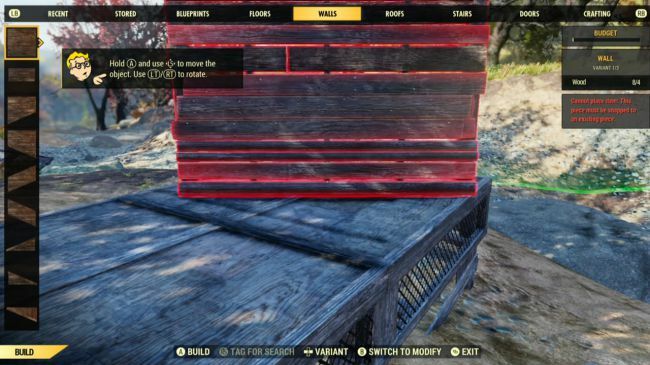 for the option to get a Camp which already built along with a weapons workbench, an armor workbench, a cooking station, and also a Stash. Everything here means, everything. The amount of resources you have is determined by your Junk, so you should loot everything in the game. Anyway, you can always store it in your Stash if it starts to weigh you down too much, but remember, never get rid of any Junk before looking at how much your next structure will cost to build. To ensure your junk won’t take up more weight than is necessary is with scrap it. Scrap all the junk you’re carrying, this will compress it into its raw parts like Excess Adhesive, Steel Scraps, Waste Acid, etc. And with this way, it will take up less space in your stash and it’s also much easier to sort through when it’s broken down. Stash is one of the most useful things for growing builders. Stashes are chests which will store whatever you put in them. 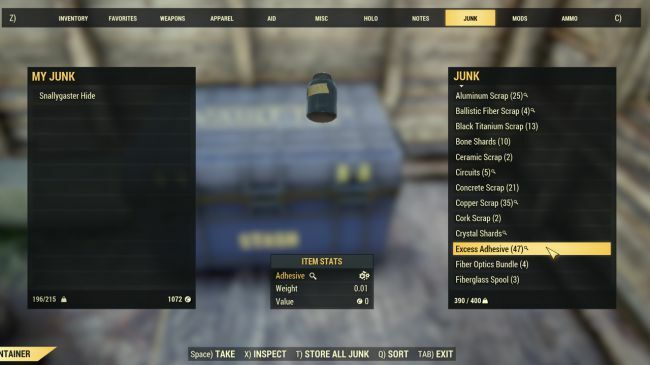 Anyone who’s collecting Junk to prepare for building a C.A.M.P. 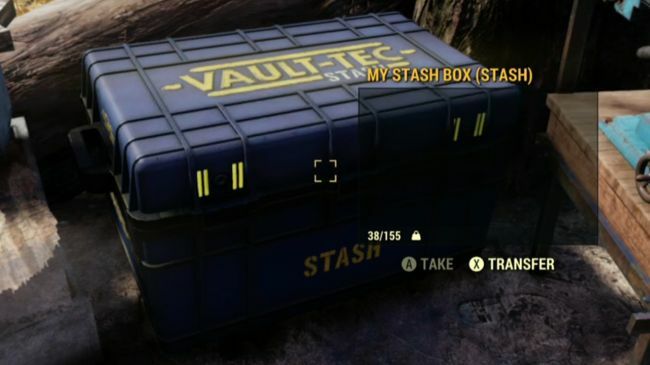 should treat the Stash like a save button, locate one in a Red Rocket Station or Train Station, comb the surrounding area first to get as much Junk as you can find, then return to the Stash and dump all of it inside. Then, when you plant down your Camp, you can take everything from your Stash into your inventory. 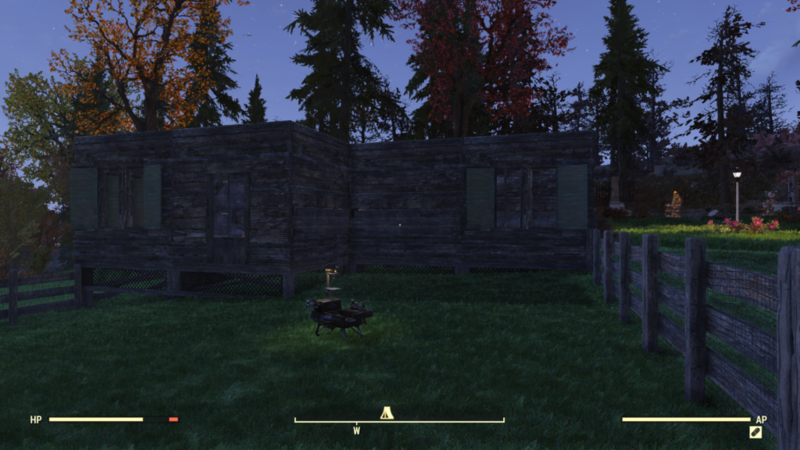 Now, before you build your Camp, make sure you find a perfect area which won’t overlap with other build areas. When you first bring out your Camp, you will notice a large green sphere around you, this marks the boundaries of your Camp, and it can’t overlap with any other nearby build areas. It will turn green when it’s in a viable location, so if it starts off as red just keep walking until it turns the right color. Wood is initially hard to come by in the first couple of hours as you can’t loot that much of it from Junk and instead you will have to comb the wilderness for fallen trees. So, at first, don’t waste your precious Wood on walls, there’s no use to have a neat shack with a perfect roof if you don’t have the resources to build any machines inside. Once you found some woods, make sure to prioritize building a weapons workbench, armor workbench, cooking station, turret, and bed over structures. Lying down on a bed will quickly regenerate your HP, and plus, if you stay in it long enough you can get a Rested bonus. A sleeping bag only needs four Cloth to craft, so its the cheapness one and perfect for quickly placing down after a day in fights. Although sleeping bags automatically go on the floor and there’s a chance for you to contract a Disease, but it’s worth it to restore those HP points in a hurry. 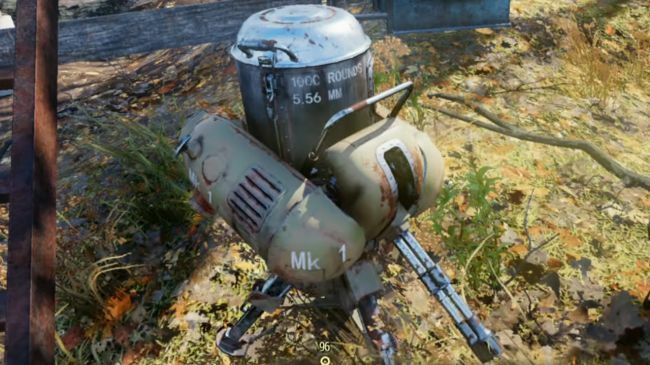 Turrets are a type of robot encountered in Appalachia. If you’re planning for your Camp to be a quick health regeneration station you’re going to want one of these bad boys nearby to keep you safe while you take a nap. A turret only costs one Circuitry, two Gear, two Oil, and four Steel resources to craft. In fact, some of the resources you need to craft a turret can be found in a couple of Oil Canisters or a Desk Fan, so they’re not expensive to craft. In the top right-hand corner of your build screen, you will see a bar titled ‘Budget’. This keeps track of how much you’ve built in your Camp. Make sure to control your Budget while you expand your Camp. Thankfully when you decide to move your Camp around, you won’t need to build another Camp from the start again. Simply go into the Blueprint section in your Building Menu, then select all the structures you want to save to a blueprint. And when you get to your desired destination just go back into the blueprint section of your build menu, select the blueprint you’ve made, then pick where you want your Camp to be. 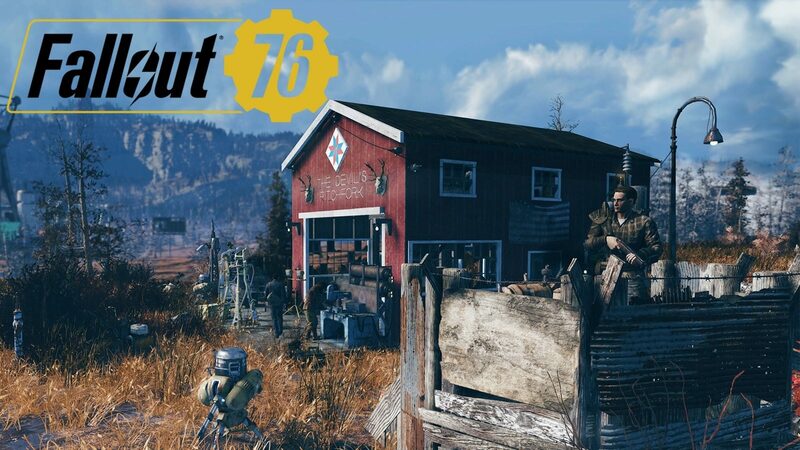 While you can’t build much in the game until you find the right plan out in the Appalachian wilderness, you will also need to grab some specific perks to be able to build everything. There’s a large body of water to the south of the Top of the World Train Station. There’s plenty of land for farming, and you can easily set up a bunch of water purifiers along the water line. At the Lumber Mill is a great place to set up. There are drones that will protect you, and plenty of scraps to loot. Route 94 has a bunch of farms in a small enough area that you can easily build food harvesting machines there. There will also be plenty of supplies to forage naturally too. The Golf Course at Whitespring is a great place to build, given that it has a nearly endless supply of melee weapons in the myriad golf clubs littered around, there’s also a lot of lands to build on. Those are the guide to build a perfect home base Camp for you to follow. 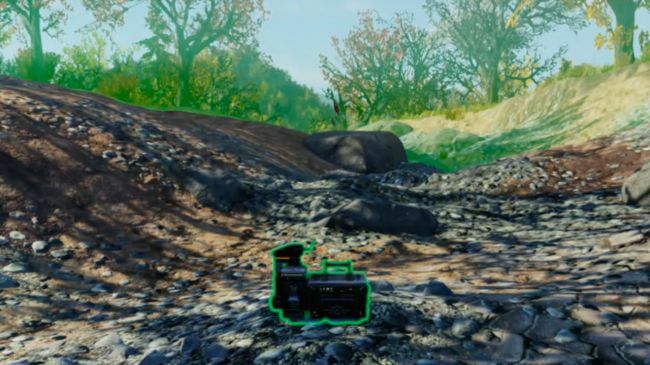 Hopefully you won’t find any difficulties to build your desired Camp in Fallout 76.